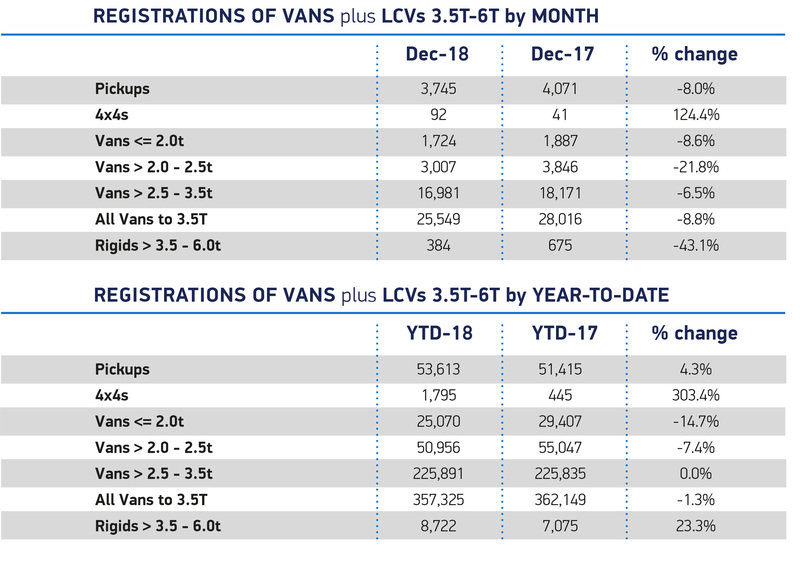 Light commercial vehicle (LCV) market shows moderate -1.3% decline in 2018. 357,325 registrations enough to post the fourth best year on record, beating expectations. December demand falls -8.8%, representing half of the annual decline, with only 4x4s recording growth in the month. 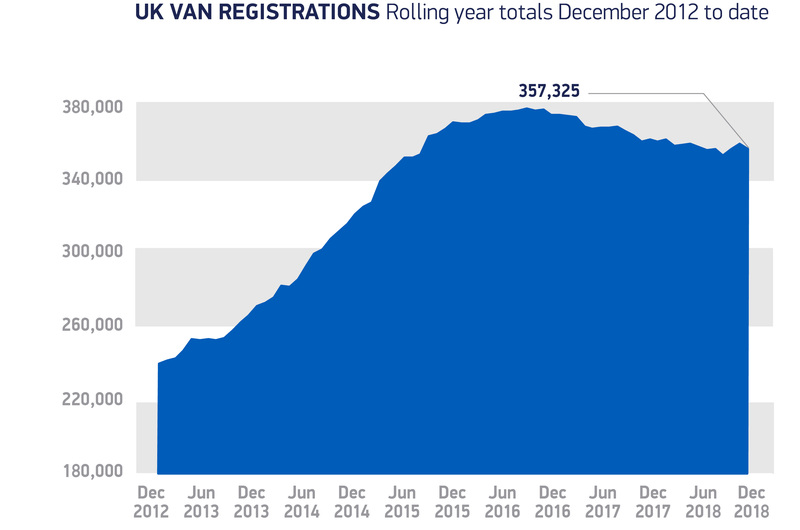 The new light commercial vehicle (LCV) market dropped -8.8% in December, capping off a mixed year for the sector, which saw a moderate decline of -1.3% in 2018, according to the latest figures released today by the Society of Motor Manufacturers and Traders (SMMT). Performance in 2018 was boosted by the strong showing from pickup (up 4.3%) and 4×4 (up 303.4%) models, meaning 3,548 more of them on the road compared with the previous year. Overall registrations of 357,325 were still enough to make 2018 the fourth best year on record, beating industry forecasts. Fleet buying cycles, model renewal and business uncertainty have all had an impact on the market, but the December decline represents more than half of the full-year decline of -4,824 units. Small (less than 2.0t) and medium-sized vans (2.0-2.5t) bore the brunt of the overall annual downturn, with full-year registrations of 25,070 and 50,956 accounting for -14.7% and -7.4% drops respectively. 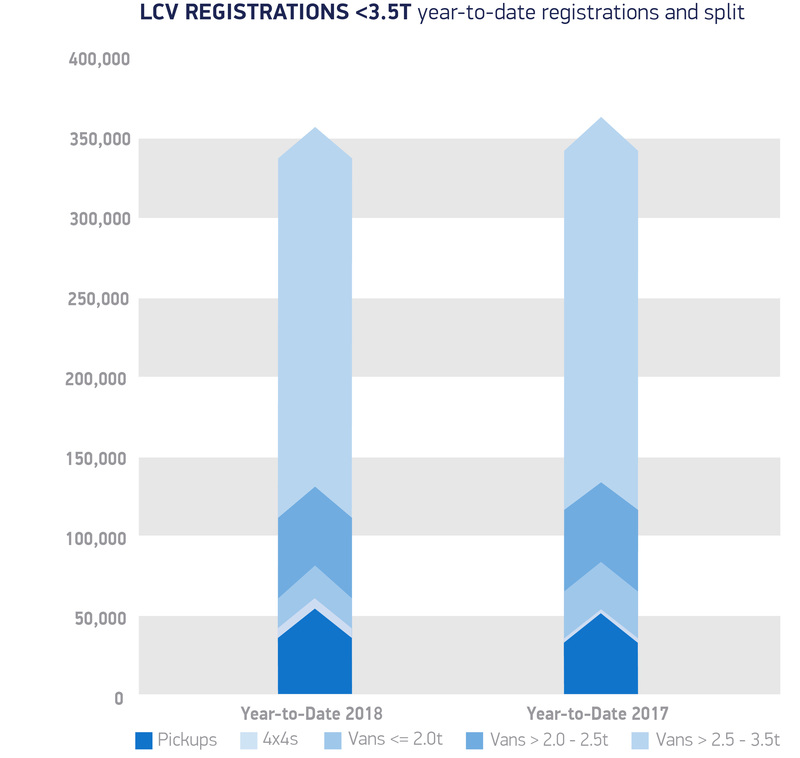 Larger vans (2.5-3.5t) matched their 2017 performance with 225,891 registered, a 0% change on last year. This sector is a key indicator of business confidence in the UK, and operators need stability to renew their fleets. Decembers performance was worrying, as was the overall drop in fleet purchases. Business confidence depends on government providing the right conditions, which first and foremost means taking a No Deal Brexit off the table. We have a strong and competitive commercial vehicle market in the UK, one that can flourish in the right economic climate.